Vanguard is a WirelessHART gas detector that can monitor presence of harmful gases for more than five years without a battery replacement. The new Vanguard wireless gas detector reduces monitoring costs and increases safety by eliminating the need for costly and fixed wiring. Wireless remote and local gas detection, such as tank farms, oil and gas production facilities, refineries, pipelines, abandoned wells and waste treatment plants. Temporary situations in which the cost of setting up a wired solution is completely unfeasible, such as a maintenance turnaround, natural disaster, security breach or plant expansion. Asset management initiatives, where trending of emissions over time through the deployment of multiple wireless sensors can initiate the necessary predictive and preventive maintenance, or pollution control monitoring. The cost of adding just one new gas measurement point, including obtaining ‘hot’ work permits, running conduits for wires, burying them, and so on, can be in the neighborhood of $10,000 for land-based systems and as much as five times that for offshore applications. Wireless gas detector technology can reduce the cost of adding a monitoring point by up to 90 percent. 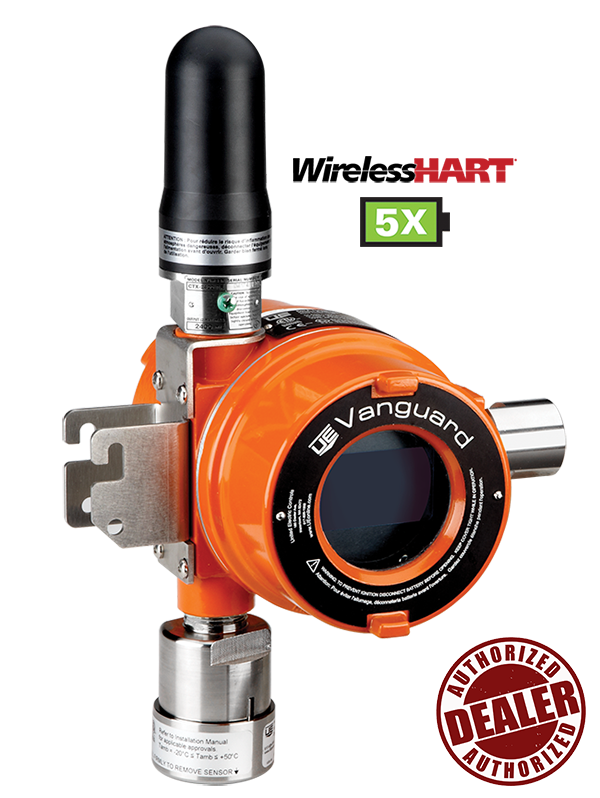 United Electric Controls developed the Vanguard wireless gas detector in response to the market need for a cost-effective way to add multiple gas measurement points. Vanguard field-interchangeable gas sensor modules detect and record hydrogen sulfide (H2S) or methane (CH4) gas in parts per million (PPM) or percent of lower explosive limits (LELs) respectively, along with network and battery status. *Per test conditions. Refer to product bulletin for more details.